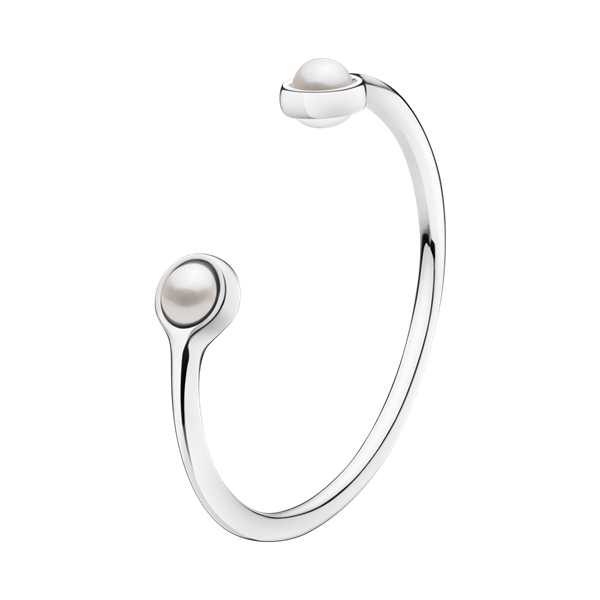 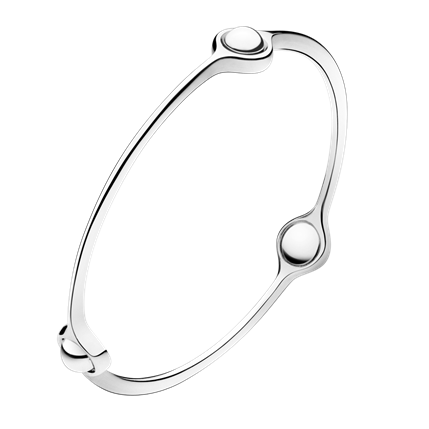 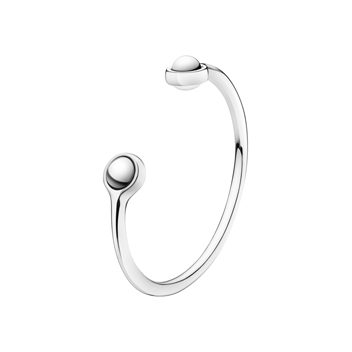 An arc of highly polished sterling silver has been crafted into an open bangle that has glimmering white cultured fresh water pearls inset into each end. 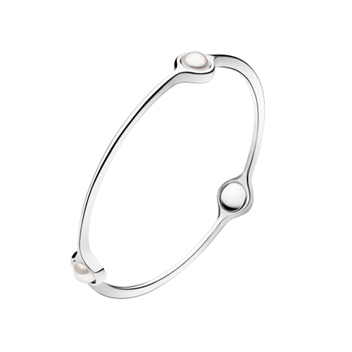 This bangle is perfect for combining and layering with other items in the Sphere jewellery collection. 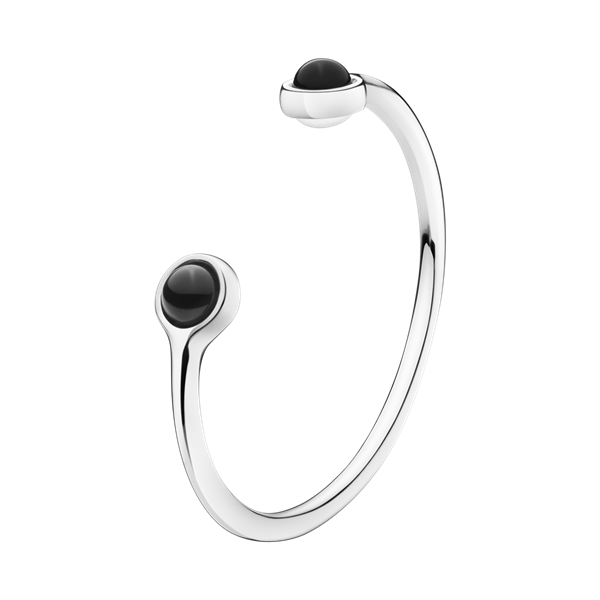 A now discontinued collection only three sizes now available in stock to purchase.